Advanced stock management feature enabled them to maintain a low level of stock on eBay, which encouraged the customers to buy more. Sachio business story was all about “How you can turn your hobby into a profitable business venture”. Sachio started his fishing lure business on eBay in 2014. LUFiS INC. offers a variety of custom fishing lure which has a unique style and can be utilized to trap different types of fishes. The lure offered by them has the right color, movement, and vibrations that can bait fish easily. It was Sachio’s fondness for fishing that triggered the idea of starting an online fishing lure business. However, he had apprehensions on how his enthusiasm for fly fishing can be transformed into a full-fledged business venture. When asked what made him think of having a fish lure business online? When asked about his online Business Goal? eBay offers easy-to-use-and-customized storefronts, where I can create descriptions about my brand in the About us page and list my products seamlessly. Other Marketplaces doesn’t allow you to promote your brand, they just allows you to list your products online. eBay recommends using Promotions Manager to merchandise relevant items. Once any buyer takes a look at any of my products, he can see the list of other items I am selling on eBay. My priority was not just to sell in the USA, but to offer my products to other countries as well which includes UK, Germany and Spain, this is one reason I thought eBay would perfectly fit my requirements as ebay has the same listing standards for all its international sites. Sachio opted for an eBay International account through which he can have access to all its international eBay sites. Sachio was using spreadsheets to manage stocks & orders which was not proving to be very helpful. On top of that, he was also supposed to manage taxation and other financial transactions. “I had to add up all the inventory that didn’t get sold and compare it to the one that was sold and create a profit/loss statement. Plus, I had many different items to sell online, differentiating their stock on the basis of the product type was a headache. 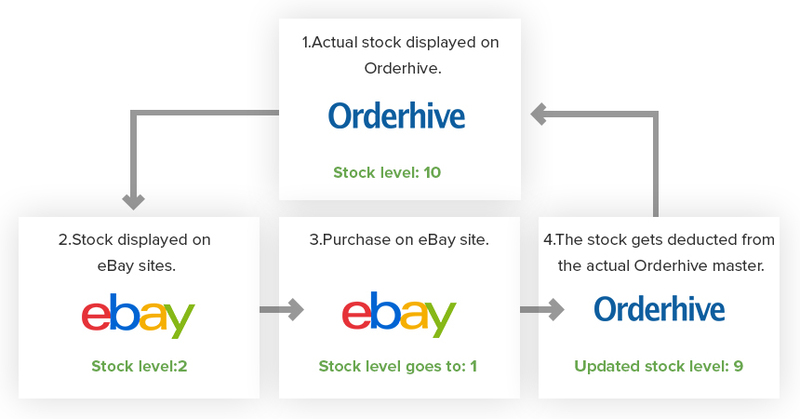 Auto-updating the Stock level – Once a sale is made, Orderhive automatically updates the stock-level across all my eBay sites. As a result, I maintain a consistent level of stock across the sites and mitigate the chances of overselling. Adding to the pain, with a traditional methodology to maintain the stock, Sachio had maintained different SKU’s for the same product. For e.g. the SKU allocated for a product A in eBay UK was different than the one allocated to Product A in eBay USA, and this applies to all the eBay sites. Also, it wasn’t a one time issue, every time when I list my products on my eBay stores, I have to make sure that I map the SKUs. Orderhive designed a custom feature for Sachio, wherein he can map the SKUs of any existing/new product across his multiple eBay sites with ease. Sachio was soon accompanied by his brother, who expanded his business venture, by listing their products on different eBay sites. As they were listing products through multiple eBay accounts, maintaining an accurate level of stocks across all stores became another challenge. LUFiS got their products listed on different eBay sites specific to a country (eBay.uk, eBay.US, eBay.au) and was managing & uploading his products from different eBay accounts, which created variations in the SKUs across these sites and resulted into inconsistent stock levels. To fully leverage the eBay listings, online sellers usually display a low level of stock on the eBay sites to create snoopiness among buyers. LUFiS too wanted to set fixed parameters for the stock level displayed on the eBay sites, which would allow them to permanently show a low stock level to customers and drives them to purchase more. On top of this, they also wanted an automated process which should work as a contingent plan, so whenever the eBay stock level hits the bottom line, the stock level should automatically refill itself. Orderhive achieved stock harmony by matching up identical SKUs (by considering the suffix value) from different eBay channels. So whenever an item is bought, Orderhive automatically updates stock levels across all their eBay channels, which came as a relief to the LUFiS team, as they don’t have to get any more worried about overselling or underselling on any channels. Orderhive implemented an advanced stock management feature, where LUFiS can maintain a low level of stock on his eBay sites. Once a purchase is done, the physical stock level and eBay stock level gets automatically updated, also, once the eBay stock level goes to 0 unit, the stock level gets automatically updated by the set parameter. After Orderhive automated business processes, Sachio witnessed a drastic reduction in man-hours that went into managing inventory, order and shipping processes. I used to spend 5 hours a day to manage my back-end tasks. With Orderhive managing my daily business processes, I only spend an hour a day to check on new orders & purchases, rest is all taken care by Orderhive. They are also very keen to solve each customer issue and are very responsive to any questions regardless of the pricing plan you choose. I really recommend this tool to anyone selling on Marketplace as well as own online shop. 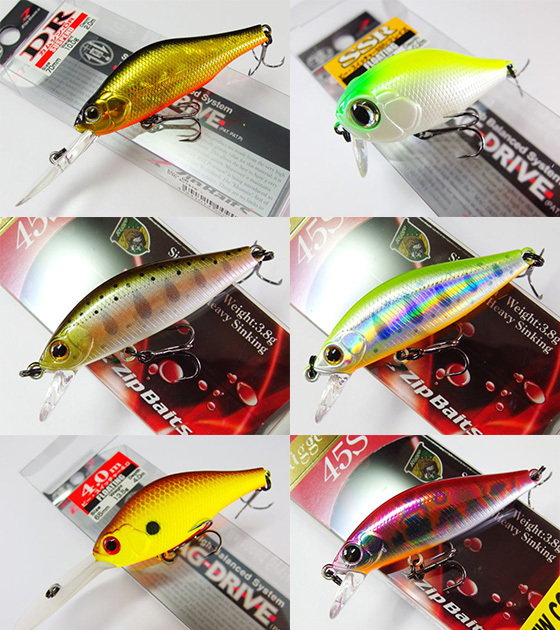 Looking to buy the best fishing lures? Click here to browse the collection.